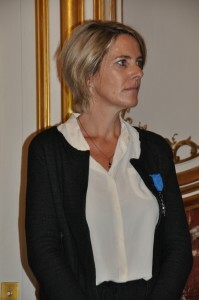 LA FABRIQUE : A FACTORY DEDICATED TO RADIOPHARMACEUTICAL PRODUCTION IN THE NANTES AREA. During the past few months, ISOTOP4LIFE has been working on the project of La Fabrique, along with its academic, industrial and institutional partners. La Fabrique aims to gather several entities from the public and industrial sectors in order to mutualize skills and means through their cooperation within a building dedicated to radiopharmaceutical production. Its unique features will allow work under GMP conditions, thus ensuring high levels of quality and safety. An Academic Corner within The Factory will promote education and practical training concerning research, development and production matters. It will reflect the interest and the renewed expertise of the whole region regarding nuclear medicine and its features. This ongoing project is open to industrial partnerships or commercial collaborations. On June 5th 2013, Pr. 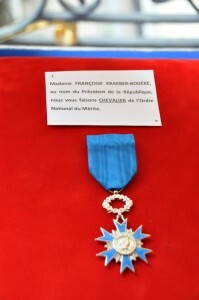 Françoise Kraeber-Bodéré, Head of Nuclear Medicine Department Hôtel-Dieu University Hospital (CHU), was invested Chevalier de l’Ordre National du Mérite (Knight of the French National Order of Merit) by the French Prime Minister Jean-Marc Ayrault at Hotel Matignon. Here are some pictures of the decoration ceremony.